Hastings, lock 18 at the top of Rice Lake on The Trent Severn Wateway running from Lake Ontario to Georgian Bay. Hastings, situated at lock number eighteen of The Trent-Severn Waterway and is 82.3 Kilometers from Trenton. Here you may find supplies and services. Hatings is the entrance to Rice Lake a long narrow lake that was created for The Trent-Severn Waterway. If you are going to go to Bewdley be warned that there is a sunken railroad line across the lake so get charts to show you where that is. Towns in bold are situated at or near locks so you will pass by but towns in Italic only if you wish to visit them. 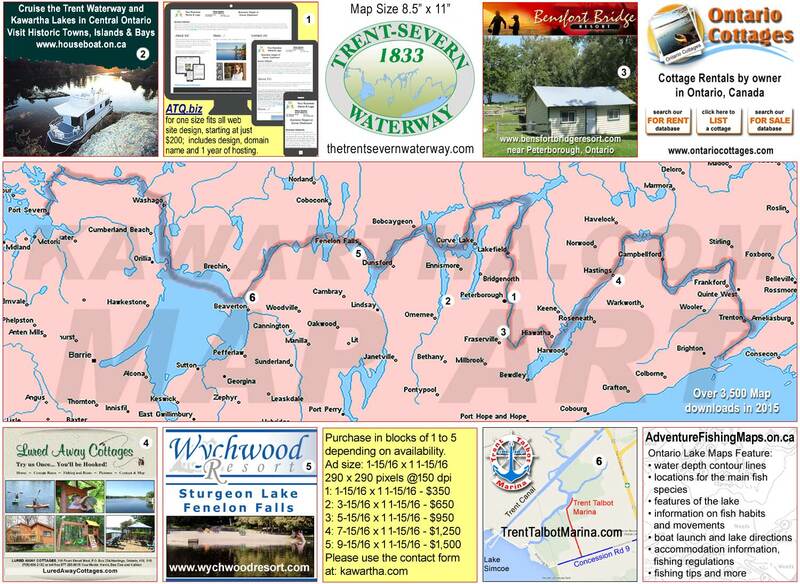 The Trent Region starts at (1) Trenton on Lake Ontario and ends at (13) Campbellford, other towns include Frankford, Belleville, Brighton, Picton and Bath.. The Rice Lake Region starts at (13) Campbellford and ends at (19) Scott's Mill, other towns include Hastings, Harwood and Bewdley. The Scugog Region starts and ends at (33) Lindsay allowing access to the Town of Port Perry and Lake Scugog. The Simcoe Region starts at (36) Kirkfield and ends at (42) Couchiching, other towns include Beaverton, Barrie, Orillia, Washago and communities on the shores of Lake Simcoe and Lake Couchiching. The Severn Region starts at (36) Couchiching and ends at (45) Port Severn on Georgian Bay.